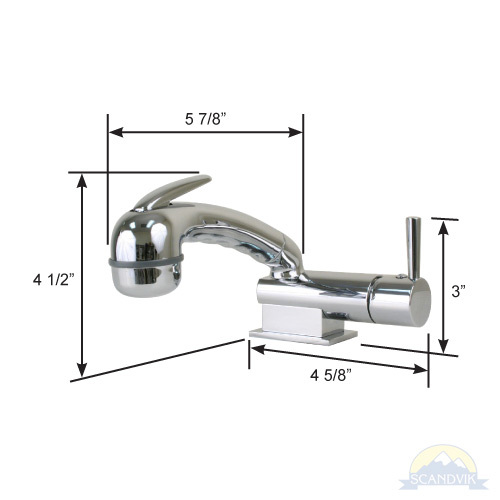 All NEW minimalistic single lever design combination faucet and shower mixer. 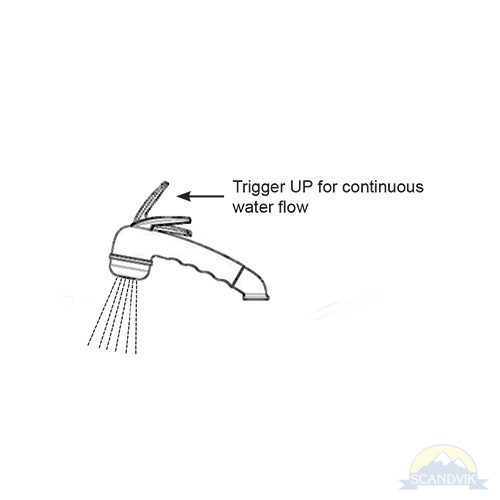 Features inward opening valve handle to prevent accidental opening in rough conditions while underway. 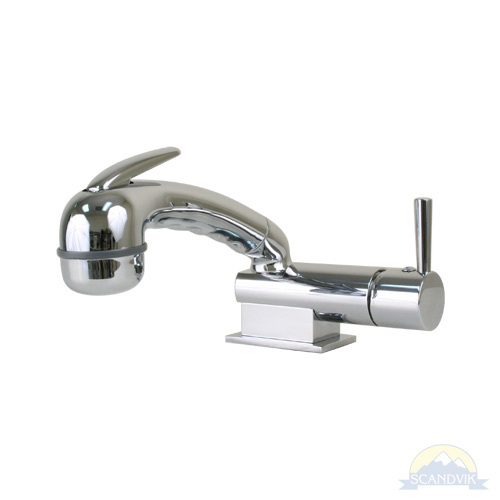 #14414 with Chrome ABS Euro handle.